Sign Up For More From FOCUS! Hickory – Lenoir-Rhyne University will continue its 2018-19 Playmakers season with a production of 26 Pebbles, a play by Eric Ulloa. The play will be performed Wednesday, Feb. 20, through Saturday, Feb. 23, at 7:30pm, and Sunday, Feb. 24, at 2:30pm. All performances will take place in Belk Centrum Theatre. With a theme of “It’s all about how you ripple out, and what these vibrations can be,” this play is the result of interviews with community members in the wake of Dec.14, 2012, tragedy at Sandy Hook Elementary School. Inspired by the style of The Laramie Project and by Thornton Wilder’s Our Town, 26 Pebbles is an exploration of community, gun violence, and how the ripples of this tragedy were felt beyond Newtown, Connecticut. The performances on Friday, Saturday, and Sunday will be followed by a talkback, facilitated by Melissa Bergstrom, visiting artist. Due to mature content and content, it is rated PG-13. The cast includes Chase Fowler, Cardo Grant Jr., Sam Miller, Brenna Nonaka, Hannah Queen, Ariona Smith, and Corey Smith. Samantha Starr is the stage manager, Crystal Carpenter is the assistant stage manager and dramaturg, and Corey Smith is the sound designer. Hernando Claros, LR instructor, will oversee set, lighting, and projections design, and Amber Biecker, LR adjunct instructor of theatre, is the costume designer. Lindsay Weitkamp, Ph.D., LR assistant professor of theatre, is the director. Admission is free, but tickets are required due to limited seating. Tickets are available at the door or can be picked up at the LR Box office in P.E. Monroe Auditorium. Box office hours are 9am to 6pm, Monday through Friday. For more information, visit lr.edu/publicevents or call 828.328.7206 for ticket information. The 2018-19 Playmakers season will conclude its season with The Little Read production of The Turtle of Oman by Naomi Shihab Nye. 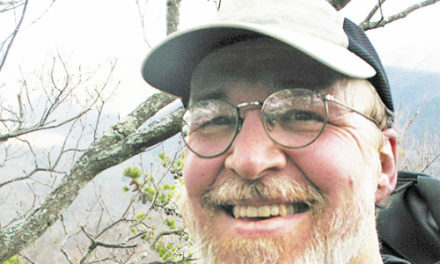 It is scheduled for 7:30 p.m., Wednesday, April 3, at Belk Centrum and noon Saturday, April 6, at P.E. Monroe Auditorium. LR’s Playmakers stimulate interest in the dramatic arts and provide a theatre experience for the community. They are also considered the official producing body for the LR theatre program. FOCUS Seeks Models For Its 40th Anniversary Swimsuit Issue! Enter By April 12, Details Below! Interested in Free Tickets, Deals & Other Giveaways? Sign-up for email notifications from FOCUS today! FOCUS Newspaper has 100,000 weekly readers per its last verified poll. 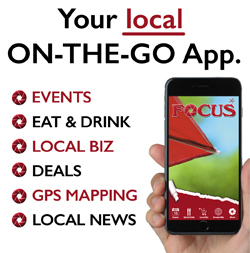 The content of FOCUS Newspaper, Focusnewspaper.com and the FOCUS App are copyright Tucker Productions, Inc., 2018. © 1978 - 2018 FOCUS Newspaper | Tucker Productions, Inc.